The Red planet has had a special attraction for humanity ~ Mars is the fourth planet from the Sun and the second smallest planet in the Solar System, after Mercury. Named after the Roman god of war, it is often referred to as the "Red Planet" because the iron oxide prevalent on its surface gives it a reddish appearance. The rotational period and seasonal cycles of Mars are likewise similar to those of Earth, as is the tilt that produces the seasons. Mars has two moons, Phobos and Deimos, which are small and irregularly shaped. Mars One—a controversial project that aims to send humans on a one-way trip to the Red Planet by 2023— immediately garnered interest from 202,586 people from more than 140 countries who sent in video applications. Even if the mission overcomes a host of currently insurmountable problems including cosmic radiation, designing a sufficiently powerful spaceship and securing TV rights, nobody who makes it aboard would ever be able to come back down to Earth - and would die on Mars. Despite that drawback, applications flowed in is astounding. Back home, there was reason to celebrate as 24th Sept was the First birthday of India's MOM (Mars Orbiter Mission), proudly known as Mangalyaan! The space probe entered the Mars orbit on 24 September 2014, almost a year after its launch, and made its home around the Red Planet. On that day last year ISRO's Mars mission was the pride of entire India as it was only the fourth space agency to reach Mars, after the Soviet space program, Nasa, and the European Space Agency. 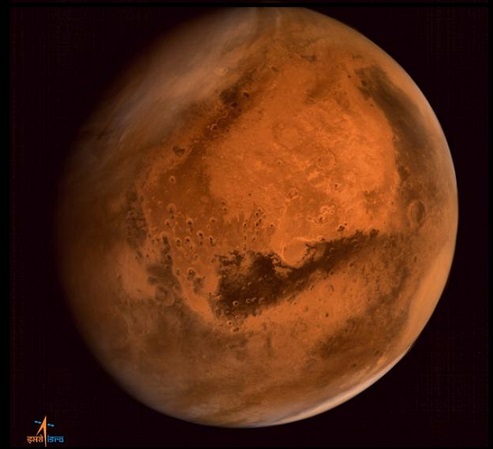 India became the first Asian nation to reach Mars orbit, and the first nation in the world to do so in its first attempt. The Nation’s joy knew no bounds when it successfully entered the orbit of the Red planet on 24th Sept 2014. The spacecraft entered into an elliptical orbit around Mars. After its successful entry, ISRO’s Mars Orbiter sent pictures of Phobos — the largest of the two natural satellites that orbit around Mars. Now there is more to read about Mars. Potentially life-giving water still flows across the ancient surface of Mars from time to time, NASA scientists said Monday in revealing a potential breakthrough in both the search for life beyond Earth and human hopes to one day travel there. While the discovery doesn't by itself offer evidence of life on Mars, either past or present, it does boost hopes that the harsh landscape still offers some refuge for microbes to cling to existence. "The existence of liquid water, even if it is super salty briny water, gives the possibility that if there's life on Mars, that we have a way to describe how it might survive," said John Grunsfeld, associate administrator for the Science Mission Directorate at NASA. NASA says it found proof of water in dark streaks called recurring slope lineae, on the walls of the Garni Crater on Mars. NASA researchers using an imager aboard the Mars Reconnaissance Orbiter confirmed the watery flows by looking at light waves returned from seasonal dark streaks on the surface, long suspected to be associated with liquid water. The discovery of water in Mars is the latest of many breakthroughs by NASA’s Mars missions ~and offers lot of hope for the researchers. This article has every last moment points of interest which are clarified understandingly. how free basics will make you pay this is really informative I would have missed the useful information if I didn't find your site. So keep on sharing hope to see more from you. .Good to know about it.It is really informative.Keep sharing post like this. I am impressed with your site’s blog. .I totally love your blog. It is perfect and you have an incredible collected work style. Well done on your writing work style: you must to be so happy for yourself.